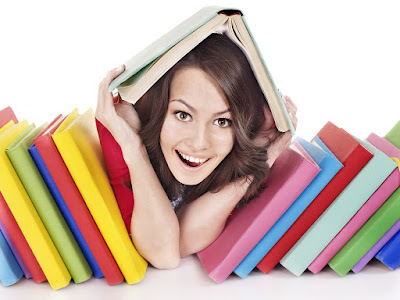 Dissertation is not just written to pass an examination and get a degree. It holds a lot more weight than that. Here is how you can make a dissertation more valuable for yourself and for your readers. When coming up with a topic, think on the lines of how it could affect the length, breadth and value of your research study. Remember that it can be changed and do not have to strictly follow the writing plan that you suggested with help of dissertation writing service providers at the time of your dissertation prospectus. Talk to your adviser about any changes you like to make. Your adviser's suggestion can provide helpful insight on improvisations. You can also read others’ dissertations to get an understanding of what kind of topic will make your dissertation more valuable. It doesn’t have to be a masterpiece work but even a compact and smaller topic can transform your paper in to an important read. As irrelevant as it sounds, it is really important to develop a sound and good understanding with your adviser. He/she is your best guide and mentor whose advice can help you immensely in producing a worthy research paper that can benefit others. You should set up regular meetings with your adviser and tell him/her what kind of feedback would be helpful to you. Your adviser should know if he/she is not giving encouraging feedback. Let him/her know what kind of assistance you are seeking for college essays plan specifically at different stages of your writing process. You can talk to other fellow students who have the same adviser and find out better and more effective ways of communication with him/her. If your adviser is not offering the help and support you are looking for, then you can ask another member of your committee to act as a second adviser and give you the kind of assistance required. Active time management is another way to remove external pressures and makes you focus more on better research and analysis. Devise a proper schedule for dissertation writing. You can allocate a few hours each day for this. Doing a little bit of research each day is better than rushing things at the last minute. Staying organized and finishing your job well in advance will give you a lot of time to review, revise and edit your paper. You can analyze it under less stressful circumstances and see how and what changes can be made to make it more useful and interesting for readers. There is a very famous saying, “When there is a will there is a way” which comes true for best eLearning techniques. If you really think that writing a dissertation is something more than just a piece of research paper required as a final component to get a degree, then you will definitely strive harder to come up with a genuinely valuable scholarly document. Things that truly add value to a dissertation is hard work and dedication, put forward by students who actually want to make a difference in the field of research.